As a homeowner, there are a few things you can do to help the situation like keeping your gutters clear of debris and by making sure that all drainage is intact and moving water down and away from the foundation. But if you notice the signs above, it is time to call the team at Southeastern Home Solutions. We have a multi-facetted group of services can resolve foundation and water problems as well as concrete problems. 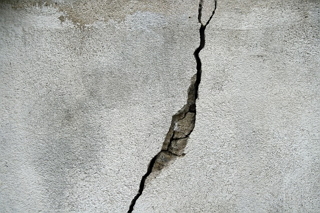 If you find that you do need foundation repair, Southeastern Home Solutions has your solutions. One thing we specialize in is wall supports that add support to bowing or leaning walls. When foundation walls have extreme pressure put on them from expanding soils, the force bracket wall repair system from Nash installed by our team could be the right fit for your problem.. There are many benefits to this system including the fact that no invasive measures are needed! 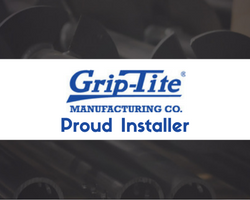 When you have us install this system, you don't have to worry about expensive excavation outside the walls. To learn more go to the Nash Website. 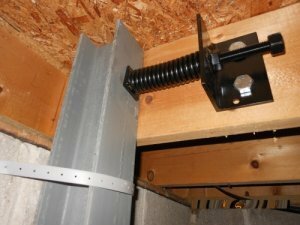 Southeastern Home Solutions are experts at installing crawlspace jacks to support sagging floors. We use the Power Post Crawl Space Stabilization System. We prefer them because of their ease of installation and the fact that they have are strong and have a high capacity. The height of the jacks is easily adjustable. They are made of galvanized steel tubes with components coated in zinc which makes them strong for long lasting support. If you have sagging floors or settling floors above your crawlspace, call us to see if these are the right solution for you. We have interior waterproofing solutions for almost any wet basement or any wet crawlspace as well. We are experts at installing sump pumps and sump pits, as well as the Versa Drain by Emecole. It is a proven solution for water problems in both basements and crawlspaces. We are also experienced in crawlspace encapsulation with vapor barriers, this allows you to complete close your crawlspace away from moisture. These solutions allow you to use all the space in your home as intended including your basement or crawlspace. We are area leaders in a new process called polyjacking, which is preferred over mudjacking. We use the effective polyurethane lifting and leveling tools from Poly Raise. It's a long lasting and cost efficient method of lifting concrete and leveling concrete. From sidewalks to driveways, concrete slabs to patios, Poly Raise is an excellent choice. Southeastern Home Solutions has the right equipment and is trained for this specialized polyurethane solution. To learn if polyurethane is the right method of slab lifting and concrete leveling for your Tennessee Home, feel free to call our team anytime! Our suppliers, such as Nash, Whitecap, EZFlow, are the best in the business. With these great products and the experienced team from at Southeastern Home Solutions you know that your foundation, concrete, and crawlspace issues can be fixed right the first time. We offer free estimates so call to get started today.